Definition at line 28 of file CExperiment.h. Definition at line 1718 of file CExperiment.cpp. Definition at line 1728 of file CExperiment.cpp. Definition at line 1738 of file CExperiment.cpp. Definition at line 1760 of file CExperiment.cpp. Definition at line 1741 of file CExperiment.cpp. References CCopasiContainer::getObject(), CCopasiObject::getObjectDataModel(), CCopasiObject::getObjectDisplayName(), and mModelObjectCN. Definition at line 1776 of file CExperiment.cpp. 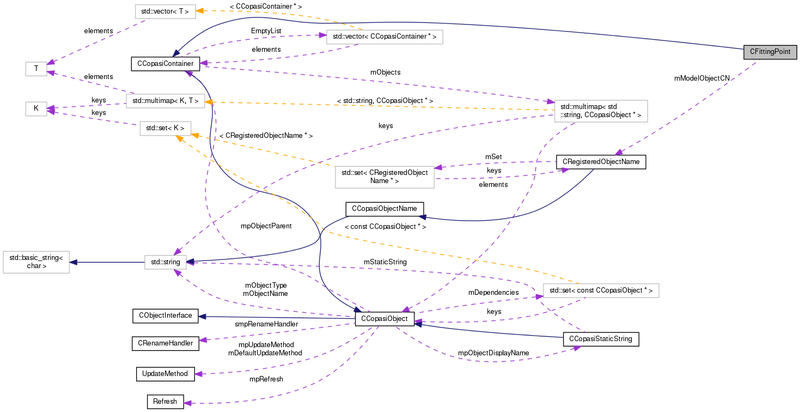 References CCopasiContainer::addObjectReference(), mFittedValue, mIndependentValue, mMeasuredValue, mWeightedError, and CCopasiObject::ValueDbl. Definition at line 1765 of file CExperiment.cpp. References mFittedValue, mIndependentValue, mMeasuredValue, and mWeightedError. Definition at line 57 of file CExperiment.h. Referenced by initObjects(), and setValues(). Definition at line 55 of file CExperiment.h. Definition at line 56 of file CExperiment.h. Definition at line 54 of file CExperiment.h. Referenced by getModelObjectCN(), and getObjectDisplayName(). Definition at line 58 of file CExperiment.h.